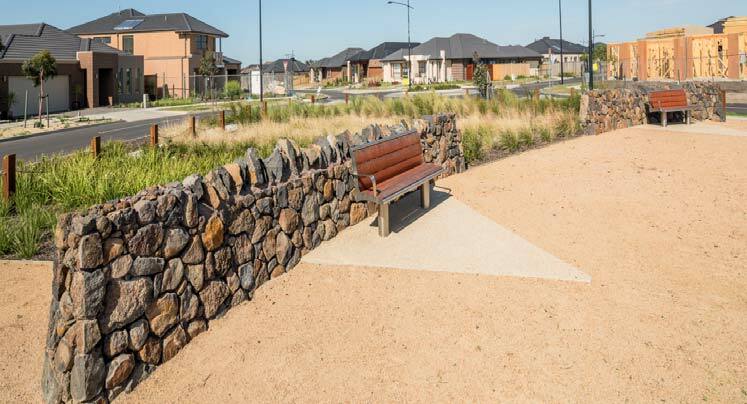 The site is located in the City of Whittlesea council district, on the Northside of Harvest Home Road, at the North West boundary of the existing stage 33. Stage 34 involved the construction of hard and soft landscape elements, including street tree planting, landscape works to a small roundabout and the construction, planting and grassing of a small reserve. The stone walls are a nice touch to the reserve.